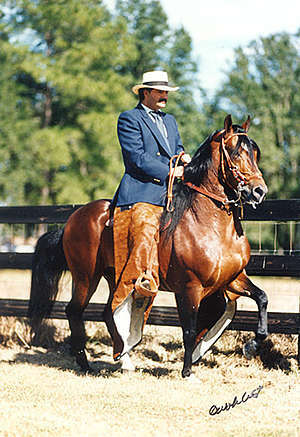 Edgar Jaramillo bred Carmin in Colombia. 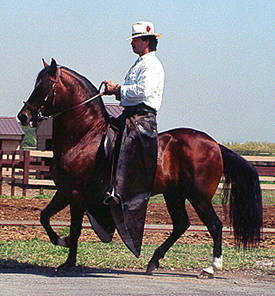 Carmin was a difficult horse which his rider/trainer in the US, Edgar Restrepo, worked very hard to overcome. As a result Carmin became extremely popular in the US and won many championships. After returning home to Colombia, Carmin earned Fuera de Concurso which is the ultimate title awarded in Colombia.